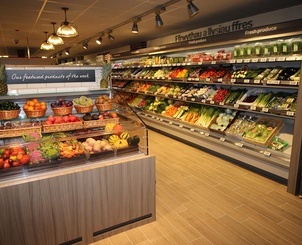 BESPOKE SHOPFITTERS We provide all-inclusive shopfitting services and retail interior fit-outs. We build high quality shopfitting services from complete design, project management, manufacturing and installation. We're a team of specialist technicians and skilled craftsmen offering a range of services. We offer a complete shopfitting service, from complete to design to full installation. 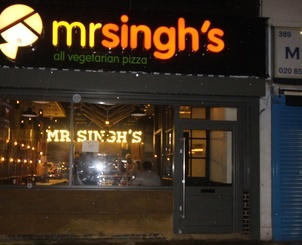 We work with retail outlets, restaurants, takeaways and estate agents and offer a solution to fit your budget. We keep our clients involved and offer day-to-day problem solving throught the project. We endeavour to complete all work in a timely manor and finished at a high standard. 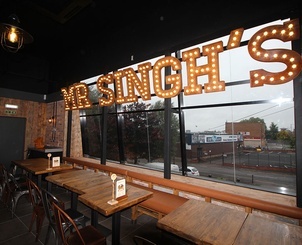 We manufacture bespoke joinery to the retail industry as well as fixed seating. 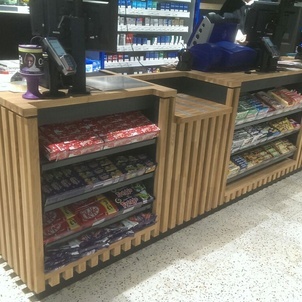 We manufacture counters and all associated wood work for the retail sector. We manufacture and install bespoke exhibition stands to meet your requirements. We offer all specialist and bespoke counters to bars, restaurants, reception and retail outlets. 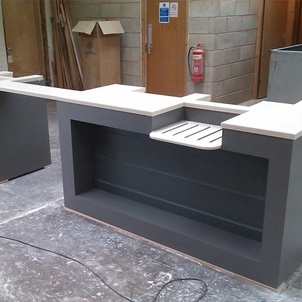 We offer all specialist and bespoke counters for bars & restaurants, receptions and retail. 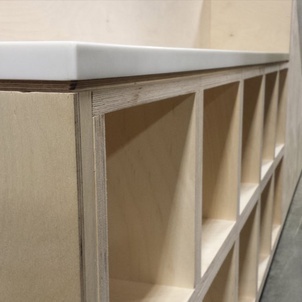 Our counters are manufactured in a range of materials including Copper, Zinc, solid surface, Polycarbonate and timber.